Flower Power lessons from a flower design professional, my book can help and entertain the beginner to the professional. About: A contemporary, editorial view on flower design, this book analyzes some innovative techniques and possibilities with an emphasis on Southern Californian styles. With so many beautiful and elegant blooms in California, I developed incredible new design techniques that anyone can apply to their flower design armoire. This book is a look into the Californian flower world and the lessons that I’ve taught at my Los Angeles School of Flower Design. Elegant photo shots from San Juan Capistrano, CA to Hollywood and top-of-the-line flower design elements for you to indulge in. Flower design techniques that are particular to California and other sub-tropical flower designs. Miscellaneous design tips that can be used anywhere in the United Sttes or even the world. 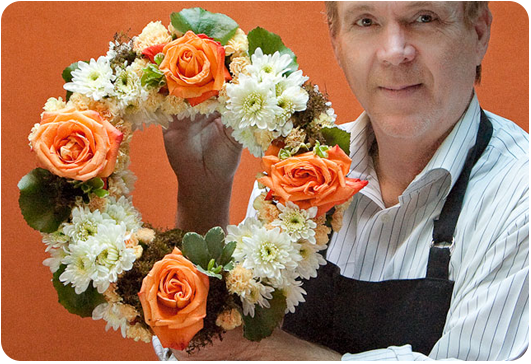 A look inside the world of an American Flower Design School taught by yours truly. Other flower facts that you’ve never known! For more information or inquiries, contact me on my phone at 414-617-7162 or contact me on the Contact page. Also, if you haven’t already, check out my previous book on professional flower design entitled, “Design Star: Lessons from the New York School of Flower Design”.